With the grand opening of Walt Disney World’s new 12-acre Pandora: the World of Avatar in Animal Kingdom, complete with two new rides, Na’vi River Journey and Avatar Flight of Passage, every Disney fan has a trip to Orlando on their minds. 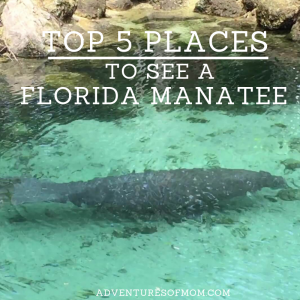 Those in the know have ways of enjoying our Florida theme park days, despite the summer crowds, and you can too with a little extra planning and some insider tips and secrets. 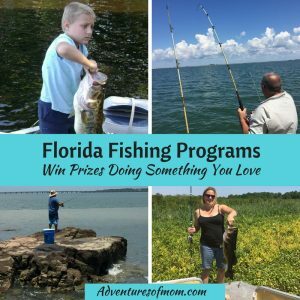 With a state population of over 20 million, there are a lot of families who live near the famous Orlando mouse year-round, and the truth is that the folks at Disney give Floridians pretty cool discounts just for living in Florida. Cut-rate annual passes, special discounts on hotels, really good 3 to 4-day pass deals. 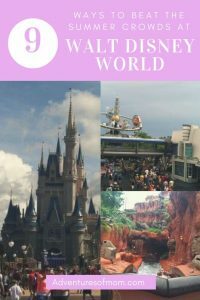 So, if you are a true die-hard Disney fan, you may want to move to this sunshine state and reap these benefits. Also, the shortest lines at Disney are at the end of January, in September & October (before Halloween) when everyone else has to report back to school. I think the kids even get a couple of teacher’s work day off just for the occasion! 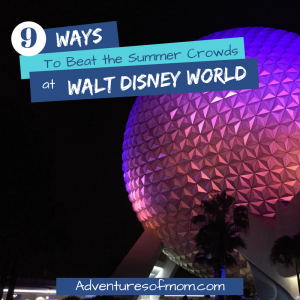 However, if moving to Florida is NOT an option, and summer is the only time you can escape with the kids, consider these handy tips on how to circumvent the crowds and make the most of your Walt Disney World stay. 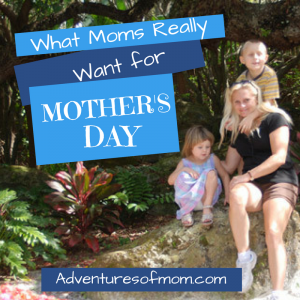 My mom was a Disney fanatic (I have the movie collection to prove it), and I grew up spending a lot of vacation days in Walt Disney World. We would stay in one of their hotels- I think mom wanted to try every one of them. I have memories of hanging out at the top of the Contemporary Resort to watch the Magic Kingdom fireworks- and then wanting to walk down all of the stairs to the bottom, riding bikes with my brother to pick up breakfast at the Trading Post in Fort Wilderness, playing air hockey in a little-known game room in the Polynesian Resort and sliding down the bayou water slide with my sister at Riverside (formerly Dixie Landing). We would get to the parks as soon as they opened and hang out until they closed. As a result, we explored all of those little nooks and corners in the theme parks that most people in a rush tend to overlook. We knew how to bypass crowds, which rides would have the shortest lines and where to go when places got too busy. We had great Disney vacations and made beautiful family memories. I hope you can make special memories with your loved ones at these parks as well. 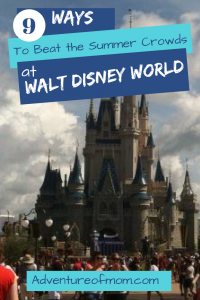 Okay, so you can’t sleep in Cinderella’s Castle (actually you can, but you have to win that privilege) or take a kip on the leafy boughs of the Swiss Family Robinson Tree House, but you can book a room at one of the Walt Disney World Resorts. The resorts range from Deluxe, like the Grand Floridian and the Polynesian Resort, to moderate like Coronado Springs and the Caribbean Beach Resort to value like the Pop Century Resort and All-Star Movies Resort. Yes, they are more expensive than your average International Drive accommodation, but the bonuses are that you can take the Disney transportation system- buses, boats & monorail to get to your chosen park destination, and you also get Magic Hours, which are hours that the parks are open only to resort guests. They could be early (like 7 to 9 am or late like 10 pm to 1 am). Check the park schedules for the magic hours, and consider an afternoon nap in your room in exchange for a late night of exclusive resort guest park fun. Another bonus of being a resort guest is that you can get to the park early, leave when the crowd swells for a swim in one of their cool hotel pools and return later when the temperatures cool off briefly after the afternoon rains- which drive some of the guests away as well. Unlike other theme parks that charge for their express guest supplement tickets, the Disney FastPass+ System is available to everyone with a paid ticket. How does it work? You can hit one of the FastPass+ computer kiosks when you enter the park and choose up to three rides that you want to use the fast pass lines for (you can update preferences after your ride- but can only have three attractions at a single time- no more- otherwise we’d all be in the fast lane!). You can download the Disney app (My Disney Experience) to your device and load your choices at your convenience anywhere. Pro-tip: load the app in before your arrival, as I was standing in line at the Haunted Mansion trying to download the app and it was eating up my battery fast! This app, besides letting you change those FastPass+ choices, shows you the wait time at rides & other attractions (clever, right?). Definitely worth saving you the time of going to Thunder Mountain and facing a long wait when you could be cruising on the Jungle Cruise instead! 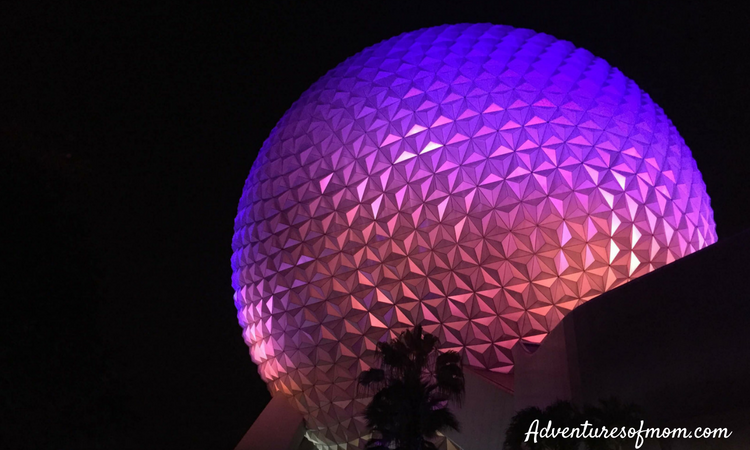 Tips & secrets to make the most of your family Disney trip. 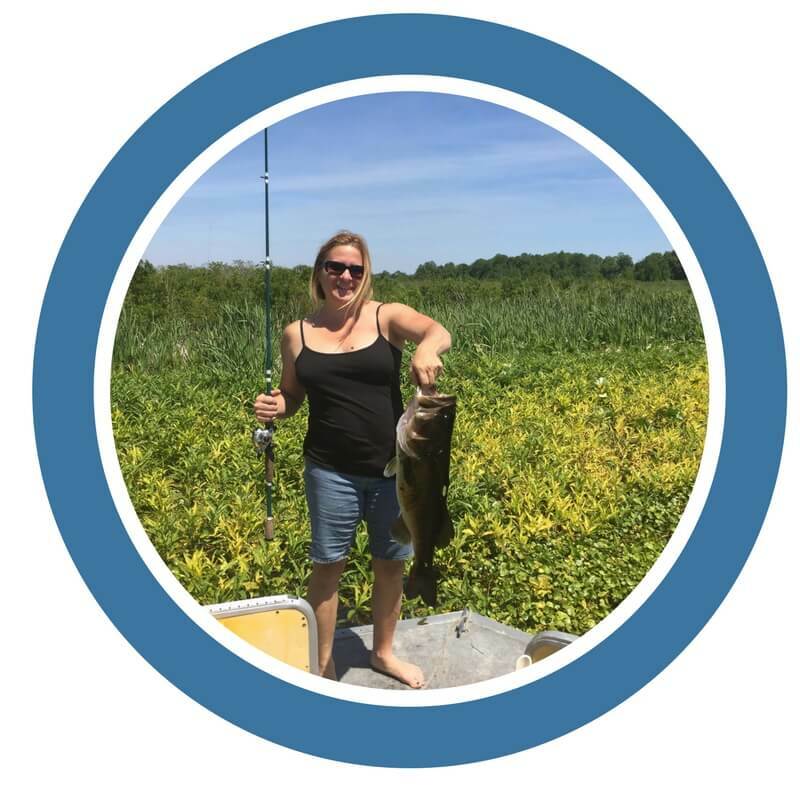 Share the adventure! You can also reserve your meals with this system, which shaves more time off waiting in a line to reserve them in-park, giving you the freedom for more explorations, and also bypassing the waiting crowds at mealtime. If you forget to book a table, consider eating at nontraditional hours, like an early dinner (think 3-4 pm) or very late (9 pm). Fancy a character meal? Book in advance. If you are staying on site you may want to duck over to the Contemporary Hotel or Grand Floridian for a character breakfast/lunch. In Epcot, each country in World Showcase offers sit-down meals in one of their fine dining restaurants (some with shows!) and a less expensive express option. Though we have not yet eaten in the hibachi bar at Teppan Edo or sat in the air conditioned finery at Tokyo Dining in Japan, everyone in the family has enjoyed the sushi in the counter-service Katsura Grill. In all of the parks, they also have food cart vendors where you can grab a turkey leg or hot dog and find a shady spot to dine al fresco. Consider investing in a Park Hopper Pass, this gives you the ability to leave one park and head to another- essential for avoiding summer crowds. Animal Kingdom and the Magic Kingdom tend to swell with guests at lunch time- use that park hopper to visit Epcot- the lines move faster on Space Ship Earth and in the Mexican Pavilion Boat ride. We have even walked onto Mission to Mars – in June! Though I suspect with the transformation of Animal Kingdom with Pandora, it will be easier to snag a boat ride into EPCOT’s Frozen Elsa & Anna World. And when the Magic Kingdom’s new Toy Storyland- opens this June 2018- Pandora will be easier to explore. It’s kind of like new movies coming out. If you want the latest- you have to suffer the crowds, but to beat those crowds, you have to be more patient and wait for those ‘hot’ movies to come out on Netflix. At EPCOT, escape the Florida heat and let the kids run in air-conditioned Innovations or the upstairs kid-friendly creative zone of the Imagination Pavilion, or beat the afternoon showers and catch some shut eye in the serene French movie- and grab tasty pastries- and a delectable French coffee afterward from the bakery. Everybody loves a parade, right? In the Magic Kingdom & Animal Kingdom, the ropes are put up to line the parade routes and the crowd gathers. Use that opportunity to ride the rides and catch the attractions that are normally too crowded to see. While Epcot may be open and spacious in the afternoon, the moment the sun dips the horizon, the park starts filling up with guests intent on witnessing the spectacular nighttime laser show. After the show, the park shuts down, so either hit those favorite attractions while everyone is oohing and aahing at the lights or do what we did (on the Park Hopper Pass)- high-tail it back to the Magic Kingdom and catch a last minute roller coaster ride. The Fireworks in the Magic Kingdom happen later than the ones in Epcot- so you’ll make it in time for the crowd to be staring at the sky. We snagged a ride on the normally super-busy Seven Dwarfs Mine Train during the Magic Kingdom fireworks, and that was one of the smoothest roller coasters I have ever ridden! Still gotta get your parade fix? Try the little-known mini-version- the Electrical Water Pageant! I grew up watching this boat parade from the shores of the lake. The Electrical Water Pageant is really put on for the guests of the resorts around Bay Lake- Polynesian Resort, Contemporary, Grand Floridian, Wilderness Lodge and Fort Wilderness. It’s a line of boats with giant light screens attached- like lots of Christmas- lights (or that light peg board you may have played with as a kid). There’s funky music and the screens on the boats illuminate, telling a story, rising to a crescendo for the ending. Some may kitschy, but having grown up with it, I think it’s rather neat. 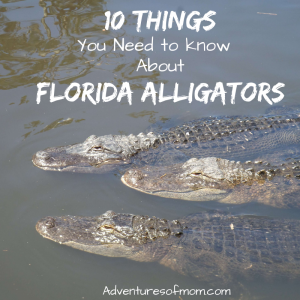 You can watch from the lakeside, but don’t go close to the water, though, as there are alligators in Bay Lake and night time is when they are most active. You can also see the Electrical Water Pagent from air conditioned comfort of the Outer Rim lounge in the Contemporary Hotel. The moment the gates open, everyone rushes towards the roller coasters- Space Mountain, Splash Mountain & Thunder Mountain. Instead of hoofing it to Frontierland- located at the back of the park, we would hop the train at the park entrance. The next stop- Frontierland, where Splash Mountain & Thunder Mountain are located. Heading through Frontierland to reach Splash Mountain, take the side path along the river. It usually isn’t as crowded as the main street. 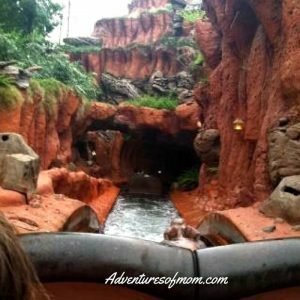 Another good place to let the kids roam is Tom Sawyers Island. Although the river rafts (Frontierland) that go there can get crowded, most people don’t tend to stay. But this island, designed by Walt Disney himself, is a nodded back to our childhood- with an old fort, caves, & a barrel bridge. Bring water though, as the concession stand on the island always seems to be closed! You can cut through Frontierland to get to Adventureland- it’s where the toilets are, and also some FastPass+ kiosks. 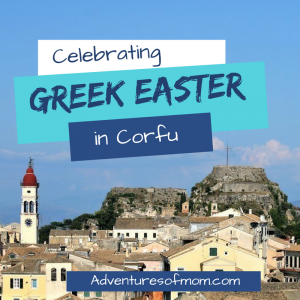 All the stores on Main Street are connected- take your family through them instead, bypassing the crowds or parade on the street. It’s good for that blast of air-conditioning too! Parents with babies- forget trying to feed your baby/nurse in a crowd -there is a nursing/feeding/baby changing facility (Baby Care Center) in the Magic Kingdom near the Crystal Palace restaurant. If you have more than one little kid, they have little tables, movies & coloring for your other kids while they wait. They have one of these places in each theme park. Some with private nursing rooms, others communal. Epcot was the communal one. These places were lifesavers for me when the kids were really little! The People Mover in Tomorrowland (just beneath the rockets) usually doesn’t have a long line, and it’s a good place for your kid (or you) to catch a nap! Bypass the crowds by entering EPCOT through the World Showcase Gate located a walk from Disney’s Boardwalk Inn. It’s not a short walk- we have left via this exit as well, and when your legs are tired- ooh- but at the end of the day you can always stop at one of their boardwalk restaurants for a meal or refreshment to rest those tired toes. EPCOT tends to be not as busy as the others during the day- but it’s because it’s very spread out. The Baby Care Center in EPCOT is by the Odyssey Complex- that big building next to Mexico. You can also use that path as a crowd by-pass. Especially handy when it’s fireworks time! There are side entrances to the Mexico Pavillion to bypass the crowds (or musicians) on the front steps. Check out the live Macaws on your way into the building. The line for the Mexico boat ride tends to move fast- and sometimes isn’t much of a line at all! There’s a path that connects the Imagination Pavillion and takes you near Canada in World Showcase. Because it’s a side path, most people overlook it. Everyone hits Spaceship Earth when they arrive in Epcot, so the line can be long, but those lengthy waits drop down in the evening. There are even times (in the summer too) when you can walk right onto the ride! The opening of the new 12-acre Avatar section (May 27th) in Animal Kingdom, will make this park a busy park this summer! Be warned! Arrive early & make use of those Magic Hours if you are a resort guest. This is exactly the reason we only ever took our kids to Disney in February/March! Avoided that whole mess. But these tips are so great when you don’t have that option. Good to have an inside scoop on this one. I haven’t been to Disney since I was SEVEN. So let’s just say it’s been more than a couple of decades. 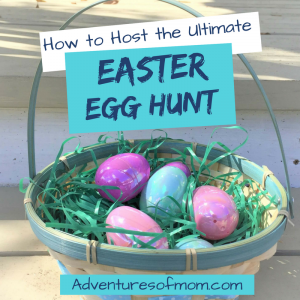 My daughter is still a couple of years from the age where she will truly remember and enjoy it, but these are great tips! This post really makes me excited to go again someday and experience the magic all over again! I’m not sure who will be more excited, me or my daughter. Ha! Your daughter will love it (and so will you!). Glad you enjoyed the post! I had no idea you could use the app to reserve tables at restaurants. That’s really neat and convenient. I haven’t been to Disney World yet, but I’m a huge fan of Disneyland in California, so this was fun to read. I miss it so much, and I hope I get a chance to go to Disneyworld in Florida someday. Yes! Great tips. Baby Care Centers all the way! They were a life saver when we were trying to cool down my munchkins at the parks when it just got too warm. I love those Baby Care Centers! And most people don’t even take advantage of them! Wow. I am so impressed with your exstansive knowledge of Disney. 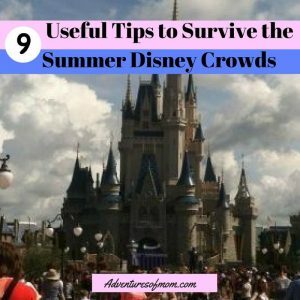 I went when I was 10 and would have no idea what to do in the summer since I hate crowds. But these tips are really usefull and I will use them if I ever have a child and feel obligated to make the pilgrimage to Disney. But awesome info.